Improve your personal relationships Most people's lives are complicated by family relationships. Birth order, our parents' relationship, and the "rules" we were brought up with can affect our self-esteem and relationships with spouses, children, and other family members. Family of Origin therapy and techniques can help you create better relationships. This easy-to-read, practical book explains how families function and what you can do to change the way you act in your family and with other people. Exercises show how to apply the principles to your own situation and develop a more positive approach to all aspects of your life. Topics covered include: * What makes it so difficult to be myself with my family? * How is my relationship with my spouse affected by how my family acted when I was a child? * Will my parents still love me if I let them know my real feelings? * How has my birth order and my gender affected my personality? * What birth order in a spouse is the best match for me? * Why do I always feel rejected when my spouse disagrees with me? * How can I change the way I react? * What role does my family history play in my life? * How can I improve my communication skills? Step-by-step exercises show how to make contact with "lost" family members, how to interview relatives to develop a clearer picture of how each member fits into the family tree, and how to find different and better ways of dealing with family relationships. 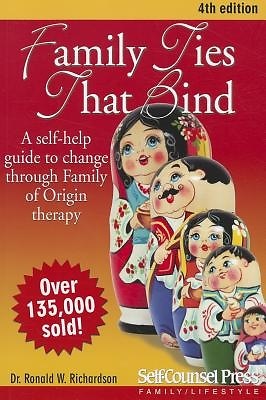 Professionals will also find this book a useful companion to their therapy sessions with clients.